The ambiance of Grand Cafe Lokaal forms a trendy “Amsterdam meets New York” appearance. Inspiration was taken from the former factory / meat processing halls at the Meatpacking District in New York, which often have a vintage look & feel. This ambience, combined with elements of modern architecture, is conducted in the interior and creates a unique “laid back atmosphere” where a wide audience can enjoy lunch, dinner and / or drinks (‘borrels’). The kitchen of Grand Cafe Lokaal is typified by the special preparation of various meat and fish dishes using the Josper grill / oven. The Josper works exclusively on charcoal and gives the products a unique taste of wood while preserving the texture and juiciness. Partly for this reason, we work with Black Angus beef which is known for its high quality. Our menu features a variety of dishes for our meat, fish and veggie lovers! The Wibautstraat is a busy place in Amsterdam. Not only is the Wibautstraat a major main road, it is also, due to the presence of the Hogeschool van Amsterdam (HVA), a street where many students gather daily. In a short periode of time, this area will be even more vidid due to the construction of a large number of student houses. Additionally you can find several day/night restaurants and bars in the former buildings of the major Dutch newspapers Het Parool, Trouw and De Volkskrant. This makes the Wibautstraat an increasingly attractive place to visit for students, workers of surrounding busineses and the locals from the neighbourhood. In this ‘upcoming’ street Grand Cafe Lokaal occupies a unique corner building, just 50 meters from the metro stop ‘Wibautstraat’. Accessable via the lines 51 (Amsterdam Centraal – Amstelveen), 53 (Amsterdam Centraal – Gaasperplas) and 54 (Amsterdam Centraal – Gein). Due to the surrounding colleges, Lokaal is a great base for students to relax, have meetings or to eat in between lessons. But it’s also for business guests and of course the locals we offer an ideal place to come and get together. 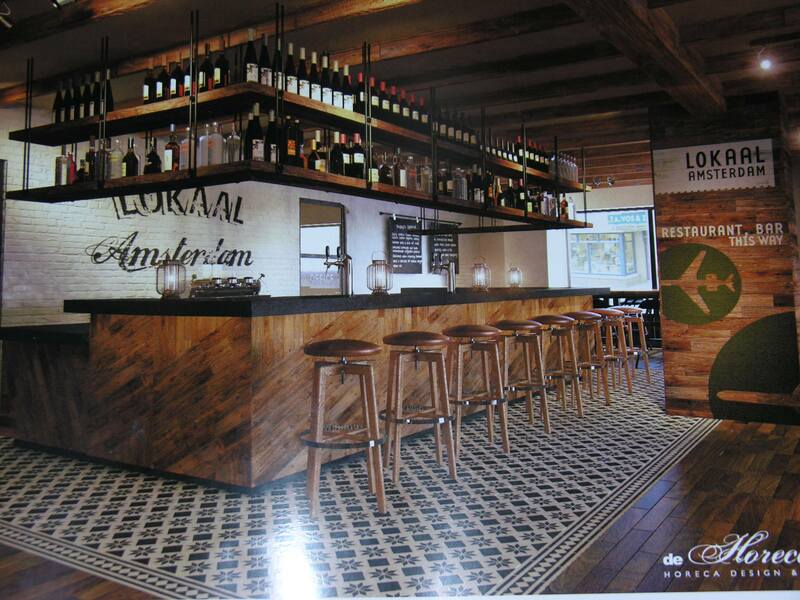 Grand Café Lokaal is characterized, in addition to the diverse grill specials, for its extensive beer and wine list. The owner of Grand Café Lokaal is the same owner of Café Hesp. Hesp has a long legacy of being a popular entertainment and meeting place for young, old, business guests, regular guests, students, tourists, local residents, etc., and is very well known for its wide range of special beers (on tap and bottle). This specialty is also implimented in Lokaal: 9 beers on tap and 8 on bottle.